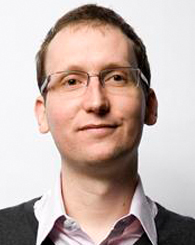 Roland Rathelot is an Associate Professor at the University of Warwick. His areas of interest include labor economics, public economics and economics of immigration, with a particular focus on the spatial dimension. He is currently conducting randomized evaluations of counseling programs dedicated to the youth in France. In the field of employment protection, there is still a lot of debate about what level of protection is right from a normative perspective... We need fresh and detailed evidence on this topic. Why did you first become interested in labor economics? France has had a chronically high unemployment rate (between 7 percent and 11 percent) for as long as I can remember. Moreover, flows out of unemployment are much lower than in the United States; the unemployed tend to stay a really long time without a job. It strikes me that there is virtually no consensus about why this is the case and how the issue can be solved. I started my academic career focusing on macroeconomics, but modules taught by people like Thomas Piketty, Pierre Cahuc, and Francis Kramarz in Paris, and Andrea Ichino in Florence, convinced me to focus on labor and public economics. Their work showed me how experiments and quasi-experiments could bring the causal evidence that is so necessary to policymakers. Then, I worked at the French Statistical Office and the Ministry of Labor for six years as a civil servant. There were fascinating places to work and it was interesting to be so close to policy implementation. It is also where I started to suspect that I could be more useful as an academic than a civil servant. Twenty years after the creation of the first online job board, we could have expected to see frictional unemployment disappear. Yet, labor markets still seem to be prone to frictions and it is critical to understand how these technological tools can be tweaked to deliver the expected improvements. With Lena Hensvik (IFAU and Uppsala University) and Thomas Le Barbanchon (Bocconi University; J-PAL affiliate), we are collaborating with an online job board. We are helping them experiment with their platform, where job seekers and employers get in touch with each other. This collaboration will allow us to get more answers to interesting research and policy questions. What kind of information should be given to job seekers about jobs, and at which stage of the search process is information useful? We know that increasing application rates is not efficient if the job seekers who apply are not relevant for the job. Actual hiring data will allow us to measure the response of employers to additional applications. In the field of employment protection, there is still a lot of debate about what level of protection is right from a normative perspective. Labor market institutions differ drastically from one country to another, and I don’t believe there is a consensus about the extent to which these differences drive differences in employment and wages. The recent debate about labor-market reforms in France has drawn in serious economists who happen to have contrasting opinions. Designing a set of randomized evaluations to evaluate the impact of labor-market protection on employment, labor-market flows, wages, happiness, and overall welfare is exactly the kind of unfeasible evaluation I would dream to do. We need fresh and detailed evidence on this topic. With Clément Imbert (University of Warwick; J-PAL affiliate), we are working on a new project about an ambitious training-to-placement program targeting school dropouts from poor rural areas in India. We are trying to understand how parents and youth decide to enroll in the program. Enrolling is a big deal, as it involves moving out of the village, usually to a larger town, for several months. Furthermore, successful trainees are offered jobs that are often located in another state, thousands of kilometers from home. While parents are usually resistant to let their children (especially their daughters) go away far from the village for so long, our latest visit to a training center in Bhubaneswar (in Odisha state) brought an interesting surprise. A few parents were visiting the center that day and we had the opportunity to talk with some of them. One mother told us that she considered the program to be a complete success. Her daughter had completed the sewing machine operator training and was going to be placed in Bangalore. Now, she had spread the message in the village and several other girls had enrolled following her enthusiastic support. She told us that she would continue talking about the training with her neighbors and her friends because she believed that the youth benefited from learning these skills, whether they worked in large factories or preferred to come back closer to the village and work as local entrepreneurs. Following this conversation, we have decided to try to pilot an intervention that would foster this kind of behavior. While recruiters paid by the training center have a hard time finding youth to fill the training centers, parents might be the best placed to promote the program. This story illustrates well how the field can complement what we are taught from the books and why our job is so fascinating, learning every day. Les ZFU "très chères pour un petit effet"